I’m so happy to have Molly + Jonathan on the blog today from @mollyandjonathan. On road trips I struggle with reaching for the healthy gas station snacks + instead grab the less healthy. Today they will share a range of healthy snacks they eat while traveling! Hope you enjoy + make sure to head over to their IG account. They will also be launching their website soon! When most people hear Road Trip, they think chips, candy, soda, fast food and trash everywhere. Well, now that our life is one giant road trip, that kind of food won’t really work for our budget or our bellies. Sometimes, it’s not just a few hours traveling, it’s all day! So road trips now have to encompass a wide range of meals and snacks. We have had to get pretty creative since we tend to eat when we’re bored. Not that we don’t love each other’s company confined in a small space for eight hours at a time, but food can really break up a drive. 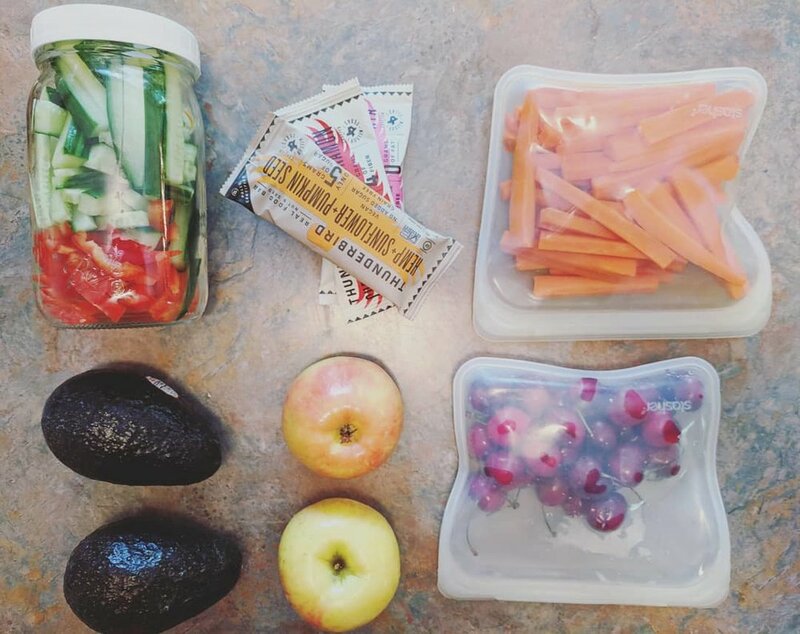 So the trick is, over pack the snacks! We find ourselves reaching for food about every hour, despite how hungry we actually are. The more variety and options we’ve packed, the less likely we are to buy a candy bar at the next gas station. Avocado - We cut ours in half, add a little salt and put it back together before we hit the road, bring a spoon to eat this one! Nuts - All of them! Trail Mix - See, we’re not monsters, we included chocolate! Rice Bowls - Just throw some rice, veggies, and sauce in a jar, don’t forget your spoon! Leftovers from dinner - if it doesn’t need a knife, bring it! We are not exaggerating when we say we will bring EVERYTHING listed above for a full day drive. We mean ALL the different kinds of fruits, vegetables, nuts, granola bars… yeah, everything. We go through a multitude of cravings - sometimes we want something sweet, salty, crunchy, filling - and if we don’t have it on hand, boredom will drive us to buy it! We also try our best to be mindful about the waste consumption, so we attempt to buy as limited packaging and plastic as possible. 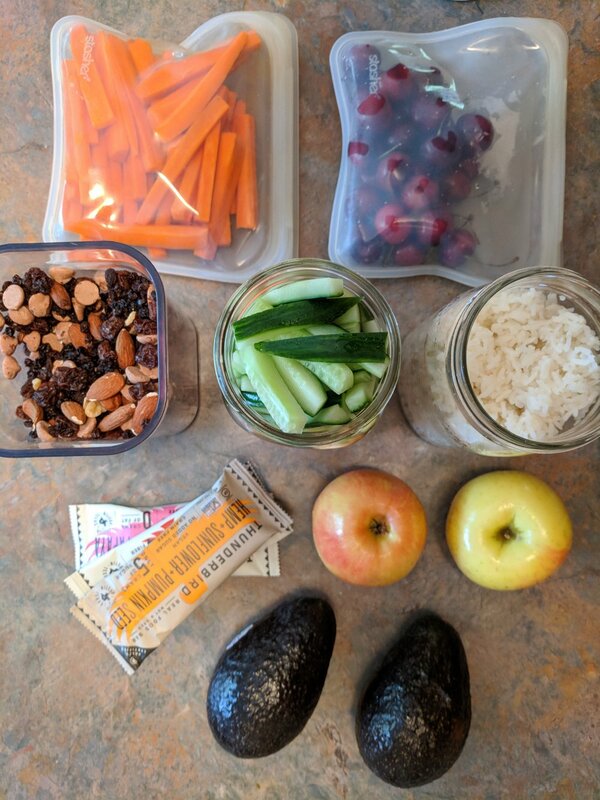 We don’t use plastic bags to hold fruit and veggies at the grocery store, we buy our dried fruits and nuts in bulk, and we make our own trail mix. 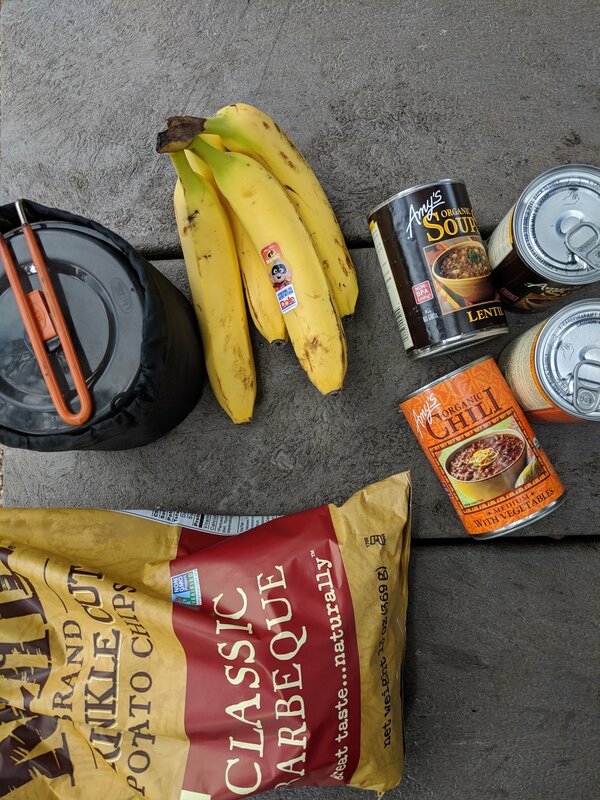 In the car, we use a cooler and store items in glass jars, stasher bags, cotton bulk bags, thermoses, and canvas lunch bags to keep things fresh. We don’t use paper towels or napkins, so we bring a few of our rags to keep us neat and presentable. Don’t forget to bring cutlery and be aware - the person riding shotgun may have to feed the driver! 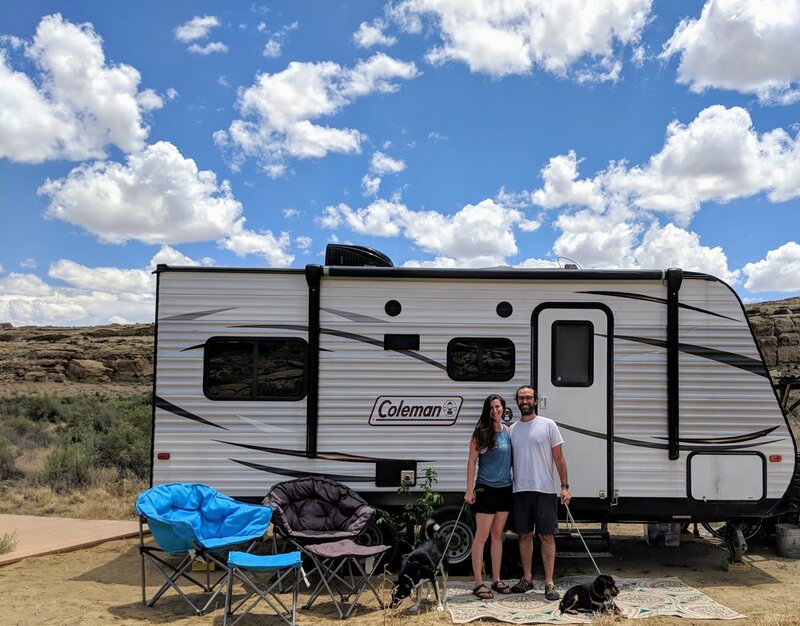 We are Molly and Jonathan, our health and happiness is living tiny, eating good food, practicing mindfulness, having adventures and chasing joy! Molly is an online professor, website consultant and yoga teacher. Jonathan is a chef, park ranger, and teacher. 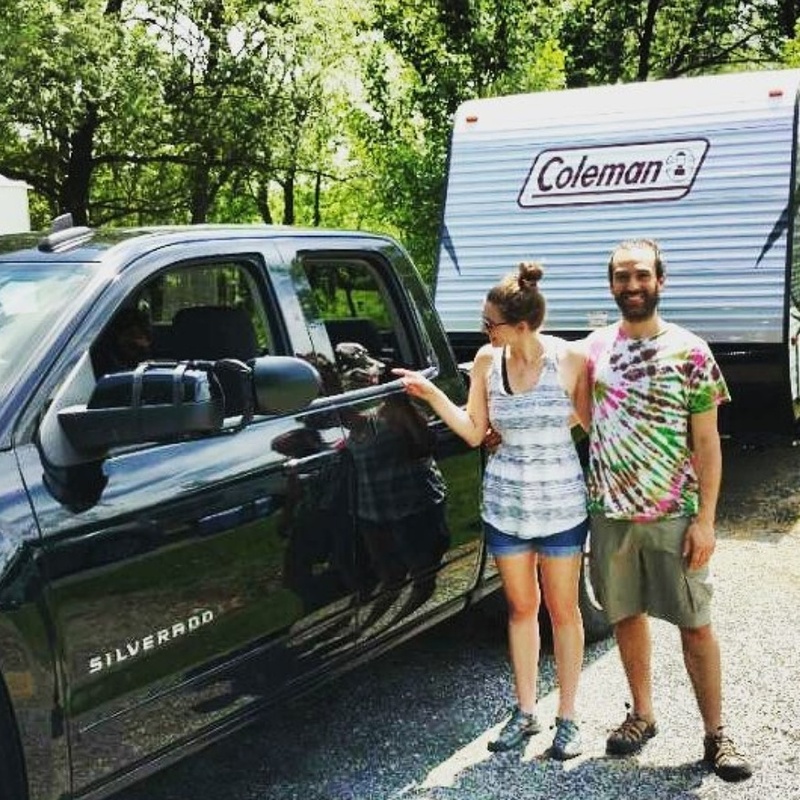 We travel the country in our 19’ travel trailer with our two dogs! 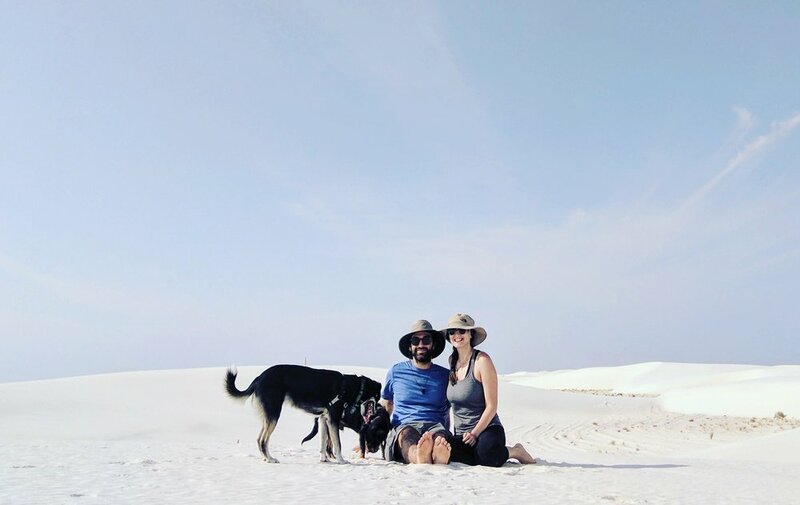 Follow us at @mollyandjonathan and soon check our website iconoclasticwellness.com for tiny living adventures, recipes, zero waste tips, and yoga flows and meditations.